Peacy's look is like a love letter to sunset boulevard and rock and roll. 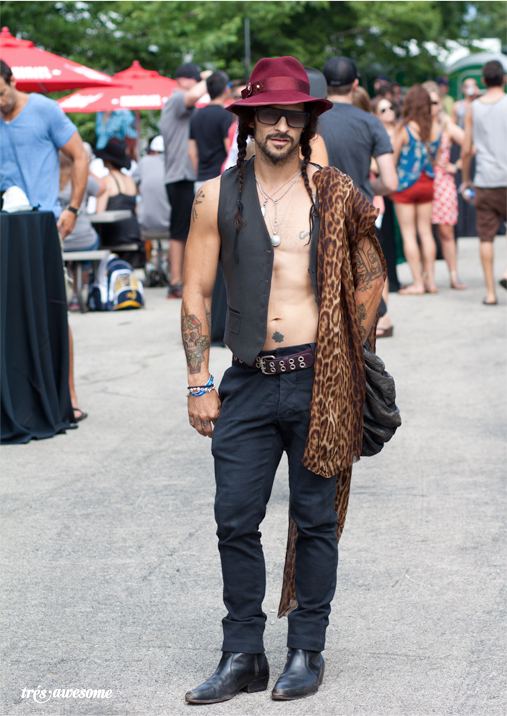 He's wearing a John Varvados vest, thrifted belt, fremont jeans and Pierre Cardin vintage hat. My Lollapalooza 2011 street style round-up on Elle.com should be posting late Monday, early Tuesday. Necklace by Jodi Rae Designs! Check her out, she's amazing!